Our IT Experts and business professionals are helping clients innovate across all phases of the IT lifecycle. South Value is helping clients innovate across all phases of the application lifecycle. Our portfolio of Application Development and Management services combine deep industry expertise and technical knowledge. Our experts can support you with the implementation and management of your TIBCO Technology and IBM WebSphere Projects. SAP is an integrated software system (bring the different software systems of an individual company together into one system) which can incorporate all the functions (modules) of a business into one system by solving data sharing problem between departments in real time. Our experts were directly involved in many projects involving SAP implementation and customizing. Server virtualization is the latest major technology trend in many companies and data centers. Virtualization solves the problem of the low utilization of single servers. Using virtualization allows IT departments to increase their server utilization up to 80%. Our experts have been working directly for major global providers of virtualization technology. Customer relationship management (CRM) allows businesses to manage business relationships and the data and information associated with them. Essentially, a CRM system helps businesses manage customer data and interactions, automates sales, marketing, and customer support activities, as well as manages relationships with vendors, partners, and employees. Red Hat is an American multinational software company providing open-source software products to the enterprise community. Founded in 1993, Red Hat has its corporate headquarters in Raleigh, North Carolina, with satellite offices worldwide. Red Hat has become associated to a large extent with its enterprise operating system Red Hat Enterprise Linux and with the acquisition of open-source enterprise middleware vendor JBoss. Red Hat also offers Red Hat Enterprise Virtualization (RHEV), an enterprise virtualization product. Red Hat provides storage, operating system platforms, middleware, applications, management products, and support, training, and consulting services. www.redhat.com. 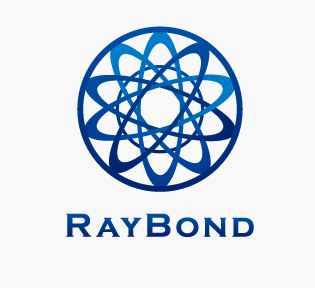 RayBond Trading+ a division of RayBond Trading GmbH in Germany. Vast experience and knowledge of international trade operations and foreign business development. Service available in English, Japanese, German. Their expertise is to trade European goods and services to Asian countries. ©Copyright 2008 - South Value. All rights reserved.